You probably have your own list of top items to address when implementing a major enterprise resource planning (ERP) project such as Maximo. But, depending on a person’s role in an organization, the perspective of what is necessary for a successful implementation is likely to change. For example, an implementer may have a very different view than a maintenance planner responsible for planning upcoming work on key success factors for a project. Often, the complexity of effectively managing all the moving pieces can cause a Maximo project to go off track. It is helpful to remain focused on the bigger picture or main components that impact the success or failure of a project on a regular basis. The creation of this top 10 list of factors is based on years of implementing enterprise-wide systems. Listed in no particular order, these factors can lead to project success or, if not done well, depressing failures. 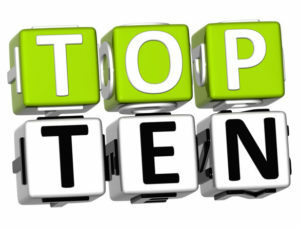 Communication almost always makes any top 10 list related to successful business practices. When implementing complex software in an already complex business setting, clear and direct communication is a must. During a project, are all impacted personnel given regular updates? Do all key parties have a clear understanding of the software and its impacts? For that matter, does everyone have a clear understanding of the goals of the implementation? You should strive to over-communicate with the theory that too much communication is better than too little. After a successful project implementation, you’ll always find loads of documentation. Key Maximo documents include signatures from all key project team members. With so many moving parts, it’s important to have a record of impactful decisions and conversations. You may have functional design documents, technical design documents, agreed upon business processes, agreed upon report designs, and more. Obtain signatures on all of these designs. This may seem overly formal, but as you approach go live with a system, it becomes very clear why formal agreements matter. Everyone understands that a large-scale Maximo implementation succeeds or fails based on upper management support. Without it, nobody will take your project seriously and the implementation will be undermined. This support needs to be voiced loudly and frequently. You should have formal mechanisms that drive this support in a visible manner to all involved parties. This factor can be called the “What’s in it for me” question. This question needs to be answered regularly. Involving employees in various phases of the project is one way to answer the question. Quite often, your front line maintenance personnel will see these systems as an unnecessary hindrance to getting the job done. Knowing this, take that challenge head-on and discuss with them the benefits of the system and their concerns. You’re driving change in the organization. Many will resist. For a project to succeed, there must be a strong project manager (or two) ensuring all the moving parts are aligned. The Maximo project manager is focused on each of the items in this list and much more. It’s this manager that ensures that your change strategies, communication strategies and much more are followed fully and accurately. What makes a strong project team? There are many factors. Yes, you need knowledgeable and competent members. But, these members need to work well together and communicate frequently. For a large project, you likely will have the following members (and more): functional lead, technical lead, project manager, integrator, report writer, project coordinator and a data specialist. Because most things that happen in a large project impact across team members, it is important that the team is one cohesive unit. Lone wolves don’t work very well on these projects. So much stems from the project plan or project charter. Each aspect to be addressed during the project is listed. Costing for each phase is included. Costing a project can be especially daunting when you’re predicting all costs across all phases for a project that can last for multiple years. The project plan needs to be well understood and agreed upon by all key project team members. Each member needs to have full input in their areas of expertise. This is one of the first steps that will determine project success or failure. All too often, the results of an ERP project are delivered with little understanding of business processes. The cookie-cutter approach to large project implementations just don’t work. Each organization is different. Defining and understanding business processes prior to developing solutions is another key early step to project success. Don’t customize the system unless you have no other choice. There’s a reason why you chose the solution you did, so why the need to massively change it? Only change the system if a strong, valid reason for the change is presented. And no, wanting the system to look just like the one it’s replacing is usually not a valid reason. You need input from all involved parties, but all inputs won’t necessarily be implemented. This is where a good consultant with years of experience becomes necessary. The consultant should know the implications of each change to the overall system. Before moving to any other aspect of implementing a major system, ensuring the infrastructure is more than sufficient to support the system is a must. If you skip using key features in an application because the infrastructure won’t support it, perhaps it’s time to address the infrastructure. If end users spend loads of extra time waiting for your system to respond, they’re likely to either use the system poorly or not at all. Make sure your infrastructure meets and exceeds minimum requirements recommended by your software vendor. There are many other important aspects to an implementation. 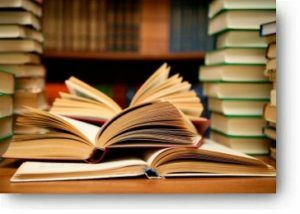 The Information Technology Infrastructure Library (ITIL)) standards can help meet project goals. ITIL’s foundation comes from a need for a systematic process to deliver projects on time and under budget. Of course, many other important factors can be added to this list. Perhaps you consider full training and coaching as a top 10 item. Even the evaluation process for determining which system best meets your company’s needs could make your top 10 list. What main factors have you encountered that either undermine system implementation or help the implementation succeed?